A fourth-generation Westchester resident, Catherine lives on the Sound Shore with her husband David Walker and two children, Julia (14) and Aidan (7). For over 19 years, Catherine has owned and operated her own small business in downtown Rye, Parkers. A travel store, Parkers carries everything from clothing to luggage. Shortly after opening Parkers, Catherine worked together with other local business owners to reconstitute the Rye Chamber of Commerce and served as its first President; she is still involved with the Chamber today. In 2003, she worked with other dedicated local leaders to help restart the League of Women Voters of Rye, Rye Brook, and Port Chester before serving as President for four years. In 2007, Catherine was elected to the Rye City Council where she quickly established a reputation as a dedicated fiscal watchdog and innovative problem solver. During six years on the City Council, she led efforts to save the City millions of dollars on real estate and through the budget process. An environmental leader, she helped pass Westchester’s first plastic bag ban, regulations to protect our trees and improve air quality, and formed a flood action committee to help mitigate devastating flooding along the Sound Shore. In 2013, she was elected as the County Legislator for District 7, which covers all of Rye City, both the Town and Village of Mamaroneck, Larchmont, and parts of Rye Town, Harrison, New Rochelle. She is the Chairwoman of the Environment and Energy Committee of the County Legislature, and serves on the Budget and Appropriations Committee, Labor, Parks, Planning and Housing Committee, and Community Services Committee. In addition to her public service, Catherine is on the Advisory Board of the Rye Arts Center and of ArtsWestchester, and is a member of the Rye Presbyterian Church, Rye Lions Club, Rye High School Parent's Teachers Association (PTO) and Milton Elementary School PTO. 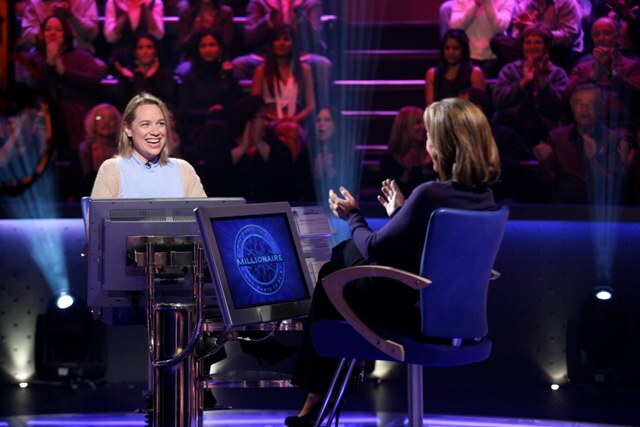 Perhaps most unique about Catherine: she once won $50,000 dollars on the TV show Who Wants to Be a Millionaire?